If it’s your first time at the site, welcome! 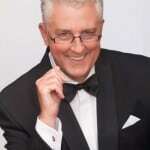 We are here to help you become a Better MC and if you want to, Grow an MC Business! Here is a quick guide to the Website. For all the latest BLOG Posts, click the Big Blue ExpertMC Banner at the top of any page. This is the normal landing page when you visit the site. These Posts are in Publication Order so you can keep up to date if you are a regular visitor. or read our recommendations for the Best Resources available? Let’s drill down a bit! If you want to read specific articles on Being a Better MC click this link Be a Better MC or the Tab above. 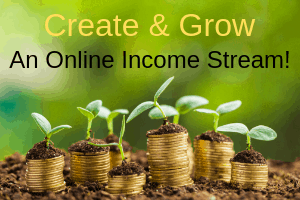 If you want to read specific articles on Growing Your MC Business click this link Grow Your MC Business or the Tab above. 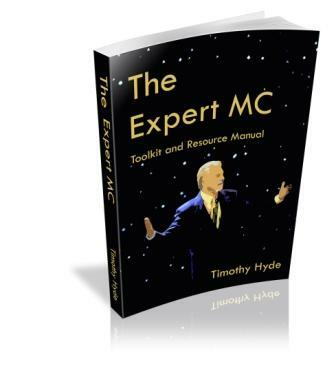 If you want our Top Ten MC Resources List, The Business Resources List, Creating an Online Income, The MC’s Bookshelf and more Click Here or the Tab above. On each of those 3 category pages we select the order of posts and articles by Popularity! We also have our MC Video Page. There are handy links to the Videos available via our YouTube Channel, ExpertMC TV, plus our occasional Video News Updates and Training Videos. Access Here or via the Tab above. Finally, up on the Navigation bar we have Who is the Expert MC? This is background information page, just so you know I really do “walk the talk!” You can also contact us via the form on that page. There’s also a handy Search Bar so you can hunt up specific topics within the site. 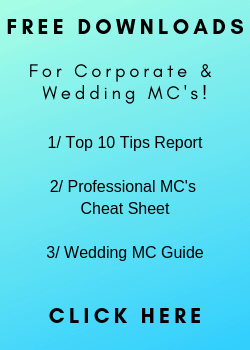 Lastly … if you want a handy 21 Step “RoadMap” that outlines the exact steps you should take to become a better MC click on the banner at the bottom of the page. We outline the best Articles and Videos to watch and read first and important steps that some people miss. Print it out and follow along! 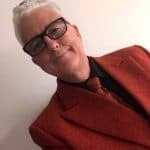 What is a Corporate MC and what do they do? All around the world on any given day there are hundreds of Conferences, Conventions, Sales Meetings and Symposiums taking place. Most of these events have an MC / Emcee / Master of Ceremonies keeping the event flowing smoothly. Their role is to – welcome the delegates, introduce the theme of the event, introduce and thank Speakers, facilitate Panel Discussions / Q&A , and relay important information to the delegates. 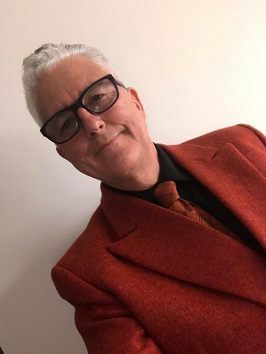 Sometimes this role is taken on by someone from within the group but more often than not this person is a professional expert MC brought in to run the event.